Refer to Accessing the Router Configuration for additional assistance. From the Top menu, click Wireless Settings. 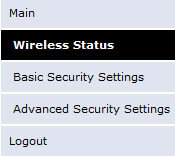 Click Wireless Status (on the left). 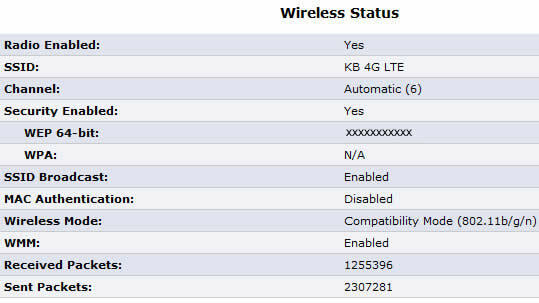 The wireless status is displayed.